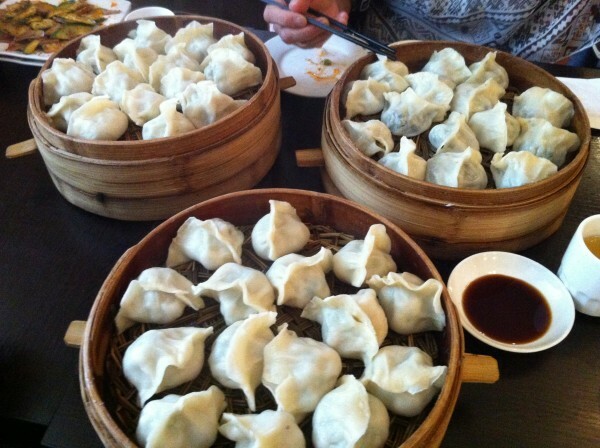 Known to locals as the best soup dumpling place in Montreal, Qing Hua has taken note and expanded its operations to better service its clients, this time branching off from its original Lincoln location to the Chinatown area. It’s not a far stretch. With the chefs in the back making the dough fresh, stuffing them with readily prepared ingredients and working their magic to allow the soup to permeate the dumpling skin and give it a nice amount of flavor, each dumpling is just delicious. If not careful, when biting into the thing, soup can squirt out and fly across the table (you can probably tell it has happened to me before). You want to make sure to savour every drop – the soup is the best and most precious part! 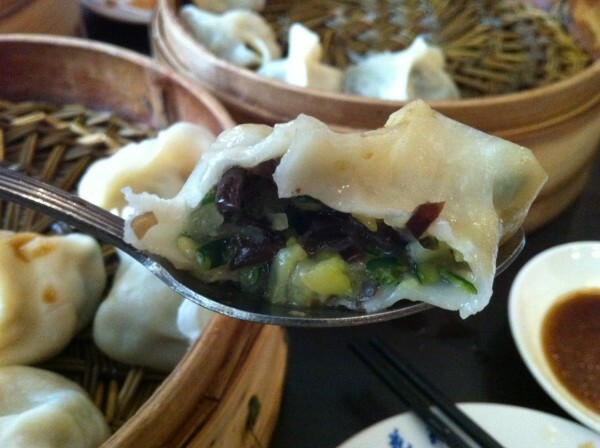 Tips are to either hold the dumpling in a spoon, take a bite out and allow the juices to seep out onto the spoon and slurp it up later – or – to just pop the whole thing in all at once. Don’t forget to put a little vinegar on it – that’s the finishing touch that is absolutely essential. 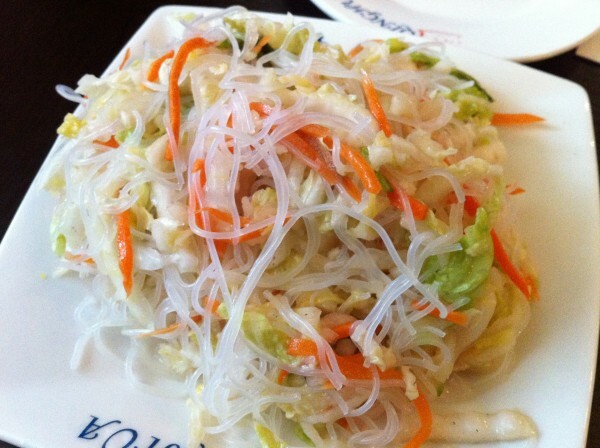 We got the tart vinegary vermicelli salad, complete with shredded pieces of lettuce and thinly sliced carrots. This was a nice prelude to the meal and served as a nice, cool refresher from the heat outside and a sharp teaser to the hot dumplings to come. 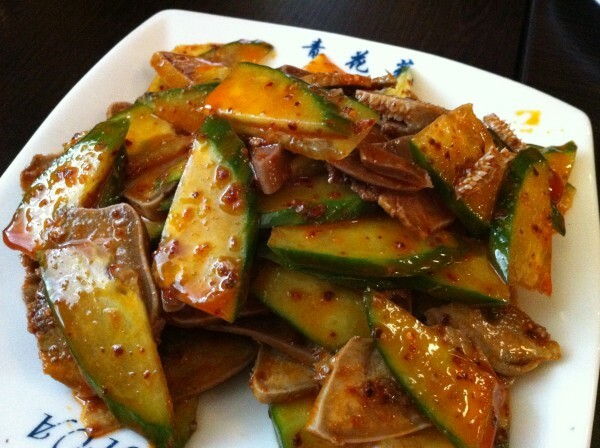 We also had a plate of pig tongue with marinated cucumbers and sesame sauce. I thought I would loved this one, but the flesh was limp and loose when I expected the texture to be denser and a little more taut and the sauce to be more aggressive. The sauce that came with it was mildly spicy but stayed more in the back of your palate more than anything and did nothing to compliment the flavors already established on the plate. 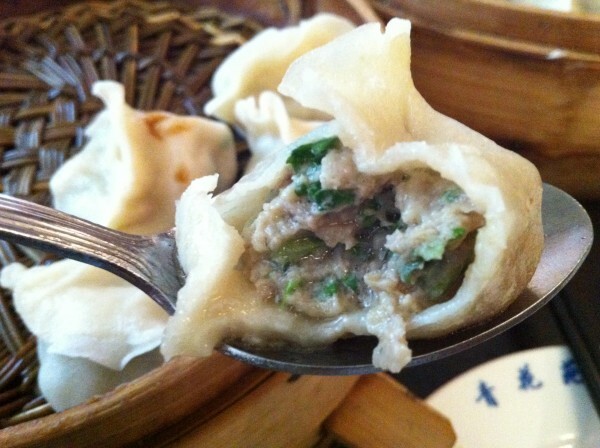 Our dumplings were all ordered steamed, our preferred method of consummation for soup dumplings. You can also get them fried or boiled, your choice. 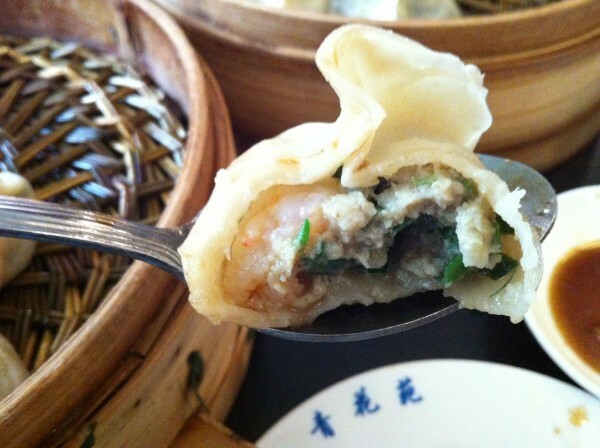 Lamb and coriander, shrimp and pork and vegetarian came to our table in bamboo steamers, one stacked atop the next. My favourite was the lamb. Check out the pictures below. I promise your mouth will be watering by the time you’re done. *For more photos, check out our previous post on Qing Hua from last year. Tags: Bamboo, Cash Only, Chinese, Coriander, Dinner, forkandtell, Lamb, Lunch, Montreal, Pig Tongue, Pork, Shrimp, Soup Dumplings, Tea, Vegetarian, Vermicelli, Vinegar. Get the beef curry next time, it's even better than lamb and coriander!